2 months later, and it’s only a quickie. I haven’t stopped eating (clearly). I’ve simply paused writing. Rather, only writing I’ve done lately are emails to clients…and Instagram captions. And sadly, not even that witty. Just wanted to share our weekly sushi fix. Well… weekly for J & E. Personal track record tends to be a wee bit higher. But, let’s not dwell on mercury levels. Avocado quota anyone? We met ours yesterday. And while not immediately apparent in this pic, these are big, fat, generous rolls. The way we like ’em. So, until we save up our money jar for Sushi Kaji’s 7 or 8-course delectable feast, Asahi Sushi suits us perfectly! 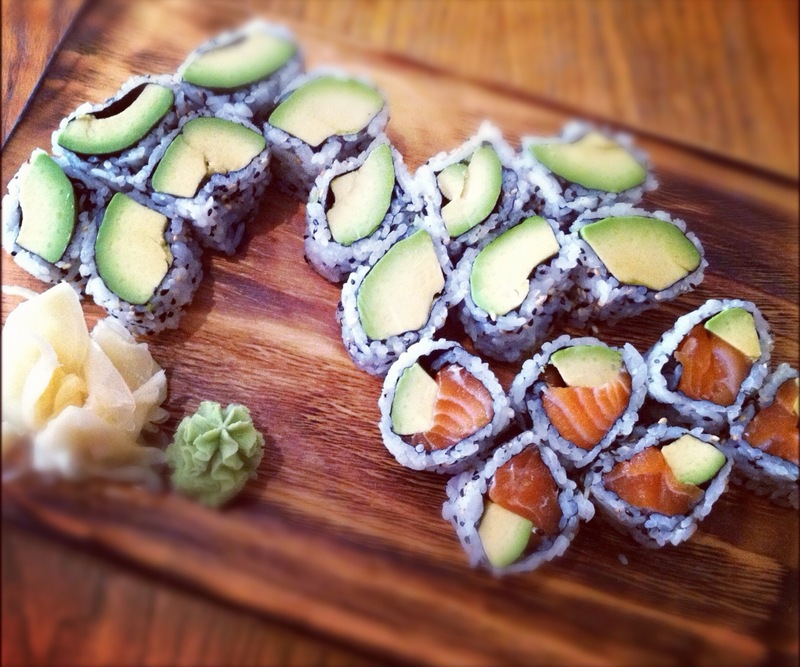 Thanks to the beautifully ripe avocado (or two) sacrificed for our satisfied bellies. p.s Asahi – what happened to your wickedly spicy kimchi soup that used to come served bubbling hot in your stone bowls? Not quite the same with the ceramic whites. And don’t worry, the leggy blonde can handle the heat. We beg you, bring the stones back.